Astronauts grow up to 3 percent taller in space. They return to their normal height within a few months of returning to Earth. Most people have callouses on the soles of their feet. In space astronauts don’t put any weight on their feet, so their soles become very tender and callouses disappear. 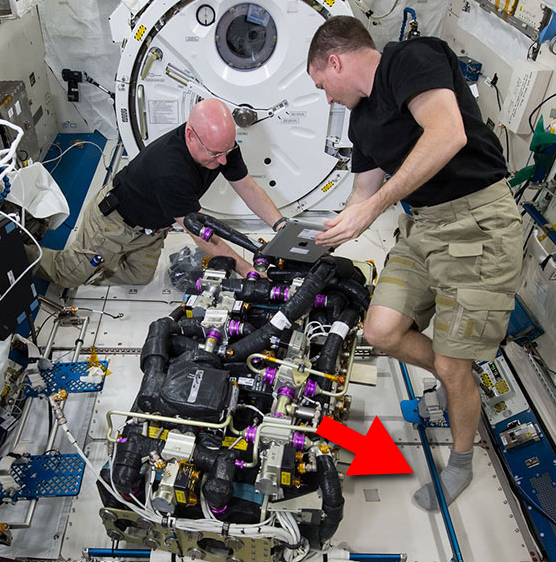 However, astronauts use the upper parts of their feet to hold them in place as they work, so they can get callouses on the top of their feet instead. Taste buds don’t work properly in space so astronauts can’t taste their food very well. They compensate by adding generous amounts of hot and spicy sauces. In space, you don’t snore when you sleep. The natural resting position for arms in space is floating up in front of you. This is fine while you’re sleeping but astronauts find it uncomfortable while awake. That’s why you often see them with their arms folded. After returning to Earth, astronauts often forget that things fall. They have a tendency to just let go of things and drop them on the floor. Check back soon for more strange facts! Coming soon: Odd things about planets.